Draft: 2000, Tampa Bay Devil Rays, 16th rd. Married Ryane … has two daughters: Ashton and Camden ... Graduated in 1999 from Hart High School in Santa Clarita, Calif. … was named the Los Angeles Times Valley Player of the Year as a junior after going 11-0 with a 2.35 ERA and 123 strikeouts … also batted .478 with 11 home runs and 45 RBI ... Was offered a scholarship to Louisiana State University, but turned it down to sign with the Rays ... Is cousins with former White Sox outfielder, 2005 World Champion and current minor-league baserunning and oufield coordinator Aaron Rowand. Made 21 starts in his first full season with Chicago ... Fell one win shy of his 2016 total despite making 12 fewer starts … his ERA, WHIP, opponents average, on-base percentage, slugging percentage, OPS and BABIP were lower than his 2016 marks ... Finished the season with 2,080 career strikeouts, tied with Tim Hudson for the 72nd-most in major-league history, two behind Bob Newsom (2,082) ... Passed the following pitchers on the all-time strikeout list during the season: John Clarkson, Red Ruffing, Johan Santana, Kevin Appier, Billy Pierce, Andy Benes, Catfish Hunter, Dan Haren, Orel Hershiser, Rick Reuschel, Jon Lester (active), Dazzy Vance, Fernando Valenzuela and Ryan Dempster ... Limited right-handers to a .228 (54-237) average, compared to .279 (62-222) vs. lefties … opponents batted .235 (23-98) with RISP. l Went 1-0 with a 1.62 ERA (3 ER/16.2 IP) and .153 opponents average over three April starts ... Earned the win in his debut on 4/6 vs. Detroit … surrendered just one run on two hits with five walks and five strikeouts over 5.1 IP … held the Tigers hitless over his final 3.1 IP ... Received his second straight no decision on 4/16 at Minnesota despite allowing just one run on five hits over 6.0 IP … his only run allowed came on a Brian Dozier inside-the-park home run in the fifth inning ... Was placed on the 10-day disabled list on 4/21 (retro to 4/18) with a strained right lat … made three injury rehab starts with Class AAA Charlotte ... Was returned from his injury rehab assignment and reinstated from the disabled list on 6/18 … made the start that afternoon at Toronto and received a no decision after allowing three runs on seven hits over 5.2 IP ... Suffered his first loss on 6/24 vs. Oakland after allowing six runs on seven hits over 3.0 IP … struck out Khris Davis to end the second inning for his 2,000th career strikeout … joined Javier Vázquez (2008), Charlie Hough (1991), Jim Kaat (1974) and Early Wynn (1960) as the only players to record their 2,000th career strikeout in a White Sox uniform (STATS LLC) ... Surrendered home runs to the A's Matt Olson, Franklin Barreto and Jaycob Brugman, becoming the first pitcher in major-league history to allow the first career homer to three different players in the same game ... Received a no decision on 7/4 at the A's, despite allowing six runs on six hits, including three home runs, in 4.2 IP … surrendered a total of six homers in two starts vs. the Athletics ... Surrendered three earned runs or less in seven of his final 10 starts of the season from 8/5-9/25 … went 3-4 with a 4.33 ERA (29 ER/60.1 IP), .229 opponents average (52-227), 50 strikeouts and five quality starts during that span ... Snapped his seven-start winless stretch on 8/18 at Texas, allowing two runs on five hits with three walks and six strikeouts over 5.1 IP ... Left his start on 9/4 vs. Cleveland (L; 4 ER/6.1 IP) in the seventh with a right knee contusion after being hit by a line drive off the bat of Francisco Mejia (x-rays were negative) ... Won consecutive starts on 9/9 vs. San Francisco (1 ER/7.0 IP) and 9/14 at Detroit (4 ER/6.0 IP) ... Earned the win on 9/25 vs. the Angels … allowed two runs on four hits with a season-high tying eight strikeouts over 7.0 IP. Combined to go 6-19 with a 5.85 ERA (118 ER/181.2 IP), one complete game and 135 strikeouts over 33 starts between the White Sox and San Diego.  Started the season in the Padres rotation before being traded to the Sox on 6/4 in exchange for right-handed pitcher Erik Johnson and infielder Fernando Tatis Jr.  His 19 losses, 5.85 ERA and 40 home runs allowed were career highs … his 19 losses tied Tampa Bay's Chris Archer for the most in the major leagues.  Made 30-plus starts for the 10th consecutive season, tied with Seattle's Felix Hernandez for the longest streak since 2007.  Went 2-3 with a 1.78 ERA (7 ER/35.1 IP), .189 opponents average and one complete game over five July starts.  Received three runs or less of support in all 11 starts with the Padres, including one run or less six times.  Went 0-4 over his first five starts of the season despite posting a 3.55 ERA (13 ER/33.0 IP) and .218 opponents average.  Suffered the loss in his season debut on 4/5 vs. the Dodgers despite making a quality start (3 ER/6.0 IP) … surrendered one run on three hits over 7.0 IP in a on 4/26 at San Francisco.  Ended his losing streak with a win on 5/2 vs. Colorado, allowing one run in 6.0 IP … worked 7.0 scoreless IP and struck out nine in his final victory with the Padres on 5/12 at Milwaukee.  Allowed a career-high 10 runs over 2.2 IP on 5/31 at Seattle, suffering the loss in his final outing with the Padres.  Was acquired by the White Sox from San Diego on 6/4 and added to the 25-man roster on 6/7.  Made his Sox debut on 6/8 vs. Washington, allowing seven runs on eight hits and three home runs over 2.0 IP … received a no decision on 6/13 vs. Detroit despite allowing seven runs (six earned) on nine hits over 5.0 IP.  Worked 1.2 IP in a loss on 6/18 at Cleveland, giving up seven runs on eight hits … became the 10th White Sox pitcher since 1913 to allow six-plus earned runs in three consecutive starts.  Received a no decision on 6/23 at Boston after allowing three runs on five hits and four walks over 5.0 IP.  Made six consecutive quality starts from 6/29-7/26, going 3-3 with a 1.71 ERA (8 ER/42.0 IP) and a .209 opponents average.  Earned his first win with the Sox on 6/29 vs. Minnesota, allowing one run over 6.2 IP to end his seven-game winless streak … recorded his second consecutive win on 7/4 vs. the Yankees, yielding two runs on five hits over 6.0 IP.  Lost on 7/10 vs. Atlanta despite allowing two runs on six hits over 7.2 IP.  Threw 23rd career complete game (first of 2016) on 7/16 at the Angels, allowing one run on two hits over 8.0 IP … surrendered a leadoff triple to Yunel Escobar before holding the Angels hitless until the eighth in the Sox 1-0 loss.  Suffered a 1-0 loss in a complete-game effort for the third time in his career, the most among active pitchers (Elias).  Lost on 7/21 vs. Detroit despite making his fifth consecutive quality start (2 ER/6.0 IP).  Snapped his three-game losing streak with a win on 7/26 vs. the Cubs … allowed four singles and four walks over 7.2 scoreless IP … retired 10 straight batters from the third-fifth.  Was winless over 10 starts from 8/2-9/20, going 0-6 with a 9.46 ERA (48 ER/45.2 IP) … his streak of six straight quality starts ended on 8/2 at Detroit (6 ER/5.0 IP).  Suffered the loss on 8/7 vs. Baltimore after allowing eight runs on six hits and four home runs over 1.1 IP, his shortest outing since 6/19/10 at Florida.  Received a no decision on 8/29 at Detroit despite allowing just two runs on six hits over 6.0 IP … ended his 10-start winless stretch with a victory on 9/26 vs. Tampa Bay (1 ER/6.0 IP). In his first season in San Diego, went 13-7 with a 3.91 ERA (88 ER, 202.1 IP) and 216 strikeouts while holding opponents to a .248 batting average....Threw 202.1 innings, making him the 69th pitcher in Padres franchise history to reach the 200.0+ IP milestone and the first since Ian Kennedy threw 201.0 innings in 2014....2015 was his ninth consecutive seasons with 200.0+ innings pitched, having reached the milestone every year since 2007… Shields is the only Major League pitcher with 200.0+ innings pitched each of the last nine seasons....His nine seasons with 200.0 innings pitched are the second-most among all active Major League pitchers, behind only Mark Buehrle (14 seasons)....Shields (216) and teammate Tyson Ross (212) both reached the 200 strikeout plateau, making them the first set of teammates in franchise history to reach 200+ strikeouts in the same season....His 216 strikeouts were tied for the fourth-highest total in Padres franchise history, trailing only the 257 by Kevin Brown in 1998, the 240 by Jake Peavy in 2007 and the 231 by Clay Kirby in 1971....Shields reached 100 strikeouts in 82.2 innings pitched, the fastest a starter has ever reached 100 strikeouts in franchise history, surpassing the previous record of 90.0 IP by Cory Luebke in 2011 and Sterling Hitchcock in 1999… he was the third-fastest pitcher (starter or reliever) in franchise history to reach 100 strikeouts, trailing only Trevor Hoffman, who got to 100 SO in 71.2 IP in 1997 and 80.2 IP in 1996....The 2015 season was the third 200+ strikeout campaign of his career, joining his 2011 (225) and 2012 seasons (223)....Posted 126 strikeouts in 19 starts before the All-Star Break, the third-most in franchise history during the first half trailing only the 138 strikeouts by Andy Benes in 1994 and the 133 strikeouts by Ian Kennedy in 2014....Owned a 13-1 record in 21 games when he received three-or-more runs of support (while he is in the game)… conversely, owned a 0-6 record in 12 starts when he receives less than three runs of support....Started the 2015 season 7-0 through his first 14 starts of the season (until 6/14), a new career-best streak to start a season…he was just the second pitcher in Padres history to start a season 7-0, with the only other to do so being Andy Hawkins, who began the 1985 season a franchise-best 11-0 in his first 12 starts....Made the Padres Opening Day start against LosAngeles at Dodger Stadium, his seventh career Opening Day start, tied for the fourth-most among active players, trailing only CC Sabathia (11), Mark Buehrle (9) and Felix Hernandez (8)....Among pitchers to change teams during the 2014-15 offseason, Shields' 13 wins in 2015 were tied for the fourthmost in baseball, trailing only ARI Rubby De La Rosa (14), NYY Nathan Eovaldi (14) and WSH Max Scherzer (14)....Allowed 33 home runs in 2015, tied for the highest total in Major League Baseball along with Kyle Kendrick…however, 26 of the 33 homers he allowed were solo shots and the other seven were two-run shots....Received 133 runs of support (runs scored while he is in the game) in 202.1 innings pitched, good for a 5.92 run support average, the second-highest mark in the National League behind Michael Wacha's 5.96 RSA…his 131 runs of support were the most in the NL and fifth-most in the Majors. Made 34 regular season starts for the Kansas City Royals for a second consecutive season, tied for the Major League lead… his 227.0 innings were the fourth-most in the American League...Topped 200.0 innings for the eighth consecutive season, joining Mark Buerhle-TOR and Justin Verlander-DET as the only pitchers in baseball to accomplish this feat…leads all pitchers with 1785.2 innings since the start of 2007, just ahead of Felix Hernandez-SEA (1785.1) and Verlander (1780.2)...Led the AL with 10 road wins, going 10-2 with a 2.97 ERA…since the start of 2013, is 20-5 on the road, tied for the second-highest win total in Major League Baseball in that time (Adam Wainwright, 21)...Recorded a 2.45 ERA over his final 16 starts, holding batters to a .231 average, posting a 6-4 record...Finished sixth in the AL with 1.74 walks per 9.0 innings, his lowest rate since 2008 and nearly a walk lower than 2013 (2.68)...Had a career-long streak of 18.1 consecutive innings without allowing a run from the fifth inning on 8/30 vs. CLE through 9/10 at DET...Posted his ninth career shutout on 8/9 vs. SF…among active pitchers, his shutout total ranks tied for sixth-most...Made his sixth Opening Day start on 3/31 at DET…became the 12th pitcher in Royals franchise history to make multiple Opening Day starts...Made five postseason starts for the Royals, going 1-2 with a 6.12 ERA with seven walks and 20 strikeouts...his 20 strikeouts were tied with teammate Wade Davis for the most by a Royals pitcher in a single postseason…earned his lone win in Game 3 of the ALDS vs. LAA, pitching 6.0 innings and allowed two runs on six hits in KC's 8-3 win. James put together an outstanding campaign in his first year with the Royals, leading the American League in innings pitched (228.2) and quality starts (27)...also tied for the league lead in games started (34), which was a career high... His 27 quality starts were tied for third-most in a season by a Royal (Paul Spittorff, 1978), and the most since Kevin Appier recorded 29 in 1993... Garnered the Joe Burke Special Achievement Award by the Kansas City Chapter of the BBWAA... Ranked seventh in the A.L. in strikeouts (196) and eighth in ERA (3.15)...his strikeout total was the most by a Royals' pitcher since Zack Grienke fanned 242 in his Cy Youngseason of 2009... Posted a 9-3 mark with a 3.06 ERA and 80 strikeouts in 94.0innings after the All-Star break...his nine wins after the break were the most in the A.L., and tied with St. Louis' Joe Kellyand Atlanta's Kris Medlen for most in the Majors... Recorded the A.L. 's top road ERA (2.07), going 10-3 and held opponents to a .224 average away from home... His 10 road victories were tied for second in MLB, behind the Angels' C.J. Wilson (11)...they were also the most by a Royals pitcher since Tim Belcher's 10 road wins in 1998... Won his final seven road starts (July 26-September 27) and nine-straight decisions dating back to June 28 at Target Field...did not lose a decision away from "The K" after a 3-1 setback in Houston on May 22... Made his fifth Opening Day start on April 1 at U.S. Cellular Field...he previously started on Opening Day in 2008-10 and2012 with Tampa Bay... Earned first win over the Rays, 8-2, on April 30, allowing two runs on seven hits over 7.0 innings... Snapped a streak of 29-straight starts (15 with KC) going 6.0 innings or more on June 23 vs. the White Sox, working just 5.0 frames... Named Royals' Pitcher of the Month for both August and September, going 4-1 in each...allowed one run or less insix of his fnal nine starts...went 6-1 with a 2.66 ERA (18 ER in 61.0 IP) after August 11... Posted a season-high 10 strikeouts in two of his last three starts, vs. Cleveland (September 16) and at the White Sox(September 27)... Earned his 100th career victory in his final start, September 27 at Chicago...his 100 career wins are tied for 34th among all active pitchers... Tossed two complete games (both losses), vs. Toronto on April 13 and at Oakland, May 17... Picked off three baserunners, giving him 27 for his career...since the start of 2006, his 27 picks are tied for fifth in the Majors and are the most by a right-handed pitcher in that span. James spent his seventh and final season with the Rays, making his club-record fourth Opening Day start (2008-10, 2012)...His 227.2 innings pitched ranked 3rd in the A.L. and marked his 6th consecutive season of at least 200 IP...only Mark Buehrle has a longer active streak of 200-inning seasons (12)...Ranked 4th in the league in strikeouts (223) and 12th in ERA (3.52)...His 223 strikeouts fell 2 shy of his career-high 225 in 2011...became the first Rays pitcher to record 200 SO in consecutive seasons...was joined later by David Price, making them only the 7th set of teammates to do it in consecutive years...Through his first 6 starts (through May 2), went 5-0 with a 3.05 ERA (41.1 IP, 14 ER)...next 15 starts (May 8-July 26): 3-7 with a 5.16 ERA (96.0 IP, 55 ER)...final 12 starts (beginning July 31): 7-3 with a 1.99 ERA (90.1 IP, 20 ER)...Had 6 double-digit strikeout games, tied with the Yankees' CC Sabathia for 3rd-most in the Majors after Texas' Yu Darvish (8) and the Mets' R.A. Dickey (7)...Worked 6 IP or more in 29 of his 33 starts, tied with Philly's Cliff Lee for 3rd-most in the Majors behind Detroit's Justin Verlander (31) and the Mets' R.A. Dickey (31)...Ranked 7th in the AL with a 1.81 groundball-to-flyball ratio...Went 4-0 in 5 starts in April...owns the highest career winning pct. in April of any active pitcher (min. 15 starts) at .789 (15-4)...His 46 strikeouts set a club record for the month of May, topping his own record of 42 in May 2011...In his 3 complete games (July 31 at Oakland, September 9 vs. Texas, October 2 vs. Baltimore), he totaled 27.0 IP, 7 H, 1 ER, 0 BB and 34 SO...On July 31 at Oakland, tossed a 3-hit shutout, recording 11 SO on only 98 pitches in an 8-0 victory...did not allow a runner past first base...On September 9 vs. Texas, tossed a shutout in a 6-0 victory...at one point, retired 19 batters in a row (6.1 perfect innings) between the 2nd and 8th innings...In his final start of the season, October 2 vs. Baltimore, set a club record with 15 strikeouts in a complete-game 2-hitter, with no walks...however, lost the game 1-0, becoming the first pitcher in the live ball era (since 1918) to take the loss while striking out 15-plus with 0 BB and 2 hits or less...The only other pitcher in the live ball era to take the loss when allowing 1 ER or less with 15 SO and 0 BB was the Mets' Dwight Gooden on Sep 17, 1984 at Philadelphia (8 IP and 16 SO in 2-1 loss). Named to his first All-Star Team and established club records in innings pitched (249.1), complete games (11) and shutouts (4)...named the Rays MVP by the Tampa Bay Chapter of the BBWAA, only the 3rd pitcher to win the award joining Roberto Hernandez (1999) and Tanyon Sturtze (2001)...Finished 3rd in the balloting for 2011 AL Cy Young as voted on by the BBWAA...totaled 66 points in the 7-4-3-2-1 scoring system...it was the 2nd consecutive year the Rays had a topthree finisher, after David Price placed 2nd in 2010...also one of three starting pitchers to receive votes in the voting for AL MVP along with winner DET Justin Verlander and NYY CC Sabathia...His 11 complete games were the most by any major league pitcher since ARI Randy Johnson (12) in 1999...they were the most by an AL pitcher since BAL Scott Erickson (11) in 1998...tied TEX Derek Holland for the AL lead with 4 shutouts...was the first AL pitcher with 11 CG and 4 SHO in a season since BOS Roger Clemens in 1992...Had more complete games than 26 major league teams and more than the Yankees (5) and Red Sox (2) combined...threw 2 more than 2011 Cy Young Award winners DET Justin Verlander (4) and LAD Clayton Kershaw (5) had combined...His 249.1 innings ranked 2nd in the majors behind Verlander (251) and exceeded the Rays previous club mark by 25.1 innings (Tanyon Sturtze in 2002)...Is one of 7 major league pitchers to throw 200 or more innings in each of the last 5 seasons and one of only 5 with 200 innings and 150 strikeouts in each of those years joining Verlander, Sabathia, LAA Dan Haren and SF Matt Cain...Threw 7 or more innings in 28 starts of his 33 starts...in the last 23 years, only 2 AL pitchers have had more such games in a season: Roger Clemens and David Cone (see chart)...finished the season with a club-record 11 straight starts of 7 or more innings, tied with PHI Roy Halladay for the longest streak in the majors in 2011...Cut his ERA from 5.18 in 2010 to 2.82...according to Stats Inc., this is the third-largest drop in the majors in the divisional era (since 1969)...also trimmed his opp avg. by 77 points, from .294 to .217...His 225 SO were 5th in the majors, 2nd among righthanders behind Verlander's 250...Shields finished with the 2nd-most strikeouts in one season in club history, trailing only Scott Kazmir's 239 in 2007...became the Rays alltime strikeout leader on May 22 at FLA when he struck out Gaby Sanchez for the last out of the game in a 4-0 win...the strikeout was his 13th of the game (tying a club record later broken by David Price on Aug 28, 2011 at TOR) and the 875th of his career, passing Kazmir for the Rays all-time mark...in that game became just the 5th pitcher in the last 10 years to throw a shutout with at least 13 SO and 1 BB or fewer...Had 5 games of 10-plus strikeouts giving him 13 in his career, 2nd most in club history behind Scott Kazmir's 17...On July 10 at NYY, the last game before the All-Star break, he became the first pitcher since Hall of Famer Bob Gibson in 1975 (May 21 at SD) to lose a complete game, 1-0, with the winning run scoring on his own error...Robinson Cano scored on Shields' errant pickoff throw to third base...Led the majors with 13 pickoffs, the first righthanded pitcher to lead the majors since TEX Charlie Hough in 1988...according to Stats Inc., Shields tied CWS Jack McDowell (13 in 1993) for the 2nd-most pickoffs by a RHP since the stat was first recorded in 1974, behind Hough's 16 in 1988...his 21 career pickoffs (in only 6 seasons) already rank 5th among active righthanded pitchers...Allowed only 9.57 base runners per 9 IP, a club record and 4th best in the AL...For the third consecutive season he received the lowest run support on the Rays staff...in 2011, Rays gave him an average of 3.75 R/9 IP in run support, 7th lowest in the AL...in his 12 losses, the Rays scored 3 runs of support or less in all but one...His 14.3 pitches per inning tied CLE Josh Tomlin for the fewest in the majors...since data was first available in 1988, only one other pitcher has struck out 8 or more batters per 9 innings and thrown fewer pitches per 9: NYM Pedro Martinez in 2005...Shields was the 4th to average so few P/IP with at least 225 SO, joining SD Kevin Brown in 1998, ARI Curt Schilling in 2002 and MIN Johan Santana in 2005...Finished the season with 6 starts against the top three scoring offenses in the majors, a series of back-to-back starts vs. Texas, Boston and New York...went 4-2 with a 2.23 ERA (48.1-IP, 12-ER)...Was twice named AL Player of the Week for the weeks ending April 24 and June 19...was the first Rays pitcher to win the award twice in one season...in each week, tossed 2 completegame wins allowing 4 hits or less...Went 3-1 in interleague play with a 1.32 ERA (34-IP, 5-ER) and 42 strikeouts, one shy of the ML record...his 3 CG in interleague play tied the ML single-season record...Recorded 3 consecutive complete-game wins June 14-24, a club record and equaling the longest such streak in the majors in the last 8 seasons (2004-11)...Set a club record by throwing 23 consecutive scoreless innings, Aug 26-Sep 5...ALL-STAR GAME: Received his first All-Star selection, but was ineligible to pitch because he started the Sunday prior...was voted in by the players' ballot...arrived at the break with 7 CG and 3 SHO, already surpassing club records for a full year...his 2.33 ERA, 142.1 IP and 137 SO at the break were all first-half club records...POSTSEASON: Started and lost Game 2 of the ALDS at Texas, 8-6...took a 3-0 lead into the 4th but allowed 5 runs that inning while hitting 2 batters and throwing 2 wild pitches...no other pitcher in major league history has hit 2 or more batters and thrown 2 or more wild pitches in a postseason game...it was the first time in his career in 190 regular season and postseason starts that he hit 2 batters in an inning and only the 2nd time he had thrown 2 wild pitches in an inning (also July 6, 2007 at KC)...his line: 5 IP, 8 H, 7 R/ER, 0 BB, 6 SO. The Rays Opening Day starter for the pastthree years recorded his fourth straight seasonof 200 innings, the first Ray to do so ... isone of only five pitchers with 200-plus inningsand 150 strikeouts in each of the last four seasonsjoining DET Justin Verlander, NYY CCSabathia, LAA Dan Haren and SF Matt Cain. ... Ranks 3rd in the AL with 853 IP over the lastfour years behind SEA Felix Hernandez (879.1)and DET Justin Verlander (867). ... Set a career high with 187 strikeouts, one shyof David Price for the team lead, 8th in the ALand the 4th-highest strikeout total in club historybehind Scott Kazmir (239 in 2007), MattGarza (189 in 2009) and Price. ... For the second year in a row, his run supportwas the lowest on the staff and his unearnedruns allowed (11) were the most ... the Rayswere shut out 10 times in 2010 including oncein the postseason and he was the loser in fiveof those games including ALDS Game 2 vs.Texas. ... In 2010 became the franchise's all-time leaderin wins (56), starts (151), innings pitched (977.2)and quality starts (87). ... Posted a career-high 5.18 ERA ... is one of fivepitchers all-time to lose 15 games with an ERAabove 5.00 for a team that went to the playoffs:also NYY A.J. Burnett in 2010 (10-15,5.26), STL Jason Marquis in 2006 (14-16, 6.02),MIN Carlos Silva in 2006 (11-15, 5.94) and BALDennis Martinez in 1983 (7-16, 5.53) ... 5.18 wasalso his high point of the season. ... Lost a career-high 15 games, tied for 2nd mostin the AL with LAA Scott Kazmir and NYY A.J.Burnett, one behind leader BAL Kevin Millwood ... also tied for 2nd most in club historybehind Tanyon Sturtze's 18 in 2002. ... His 3.67 SO/BB ratio (187 to 51) ranked 4thin the AL behind TEX Cliff Lee (10.28), LAAJered Weaver (4.31) and TOR Shaun Marcum(3.84) ... his career mark of 3.70 is 4th bestamong active pitchers (min. 750 IP) ... his careermark of 2.00 BB/9 IP is also 4th lowestamong actives and his average of 0.053 walksper batter faced is 3rd lowest among actives. ... Allowed 34 HR, most in the AL and 2nd mostin the majors after ARI Rodrigo Lopez (37) ... broke Sturtze's club record of 33 in 2002 ... over the last four seasons (2007-10) has allowed115 HR, 2nd most in the majors behindCIN Bronson Arroyo (117) and a major-leaguehigh328 extra-base hits . 25 more than thenext-closest pitcher (Arroyo at 303). ... On Aug 7 at TOR he allowed 6 HR, tying amodern day major league record, in a 17-11loss ... was the eighth to do it, only the thirdin the last 70 years, and first since TEX R.A.Dickey on May 6, 2006 vs. DET ... allowed 9hits, all for extra bases (3 doubles) ... the Jaystotaled 8 HR in the game, the most ever allowedby Rays pitching. ... Led the majors by allowing 127 runs, 117 ERand 246 hits (tied with CWS Mark Buehrle) ... allwere career highs ... the 246 hits were the second-highest total in club history behind Sturtze(271 in 2002) ... over the last four seasons(2007-10) has allowed 433 runs, 2nd most inthe majors behind Livan Hernandez (450). ... Recorded five games with 10 or more strikeouts,tied for 3rd in the AL and tied for 5th in themajors behind BOS Jon Lester (7), MIL YovaniGallardo (7), SF Tim Lincecum (7) and TEXCliff Lee (6) ... three of the five games occurredover a span of 4 starts between April 28.May 15 ... on April 28 vs. OAK tied his careerhigh with 12 SO (also April 22, 2007 vs. CLE),falling one shy of Kazmir's club record of 13(Aug 25, 2007 vs. OAK). ... Began the season 5-1 with a 3.08 ERA (61.1-IP,21-ER) in 9 starts through May 20 ... also beganwith a 4-0 record ... after May 25, went 8-14with a 6.08 ERA (142-IP, 96-ER). ... Worked 7 or more innings only twice in his final18 starts. ... Was winless (0-4) in his final 6 starts, with hislast win coming Aug 29 vs. BOS. ... Lost a career-high 7 consecutive starts betweenMay 25.June 29 (interrupted by a winfrom the bullpen) ... made his first career reliefapp on June 19 at FLA, pitching a scoreless10th to record the victory in the 9-8 win, an11-inning affair lasting four hours, 38 minutes ... was his first relief app as a pro since2005 with Double-A Montgomery. ... Opponents were 7-for-21 (.333) with the basesloaded after going only 4-for-36 (.111) prior to2010. ... Was named Best Change-up in the AL inBaseball America's annual Best Tools surveyof league managers ... was the second time inthree years he earned the honor (also 2008). Rays Opening Day starter the past two yearsfinished 6th in the AL with a career-high 219.2innings pitched, 2nd most by a Rays pitcherin one season behind Tanyon Sturtze's 224innings in 2002...it was the 2nd consecutiveyear he has finished sixth in the AL in inningspitched and the 3rd consecutive year he hasfinished in the top 10...also his 3rd consecutiveseason of 200 innings...no other Ray hashad more than one 200-inning season...One of only 4 major leaguers to pitch 215 ormore innings in each of the last 3 years...alsoCC Sabathia, Dan Haren and Roy Halladay...Allowed 239 hits, 2nd most in the majors behindMIN Nick Blackburn (240)...allowed the3rd-most base runners (292) and 4th-mostruns (113)...nonetheless has permitted only11.08 base runners per 9 innings over the past3 seasons, 6th best in the AL over that span...His 2.1 BB/9 IP were 6th fewest in the AL...hiscareer mark of 1.93 is 3rd among active pitchers(min. 100 starts) and best in franchise history...was 9th in the AL with a 3.21 SO/BB ratioand his 3.70 career mark is best in club historyand 4th among actives (min. 100 starts)...Had 7 starts in which .. he allowed one ER orless but only won 2 of those (2-3 with 2 nodecisions)...included was a start Aug 2 vs.KC in which he tossed 7 no-hit innings to startthe game, 3rd-longest hitless stretch to begina game in franchise history...was eventuallycharged with the loss after allowing 2 runs(1-ER) in the 8th inning, when he allowed a pairof hits (one infield) and the defense committed2 errors behind him...there have been 38 occasionssince 2006 when a pitcher had a no-hitterthru 7...Shields became only the second pitchernot to win (also CHC Carlos Zambrano in 2007)...Received 4.42 runs per 9 IP in run support, 4thlowest in the AL...13 times he allowed 2 ER orless, but won only 5 of those games...Was 7-10 with a 3.81 ERA in his first 26 startsthru Aug 20...went 4-2 in 7 starts the rest ofthe way (5.36, 47-IP, 28-ER) but saw his overallERA rise to 4.14...Allowed a career-high 29 home runs, 3rd mostin the AL and tied with Doug Waechter (2005)for the 3rd most in club history...Tagged for 12 unearned runs, 7th most in theAmerican League...Had a better record at home (6-6) than onthe road (5-6) for the 4th consecutive year...lifetime is 26-14 at home (3.38) and 17-22 onthe road (4.76)...went more than 3 months (10starts) at home without a win before winningSep 18 vs. TOR...Beat Johan Santana, 3-1, on June 20 at NYM(7-IP, 3-H, 1-R/ER, 0-BB, 4-SO), then went 8starts without a win (0-3, 5 no-decisions)...2nd-longest drought of his career (went 9straight starts without a win in 2006)...Lost 1-0 on April 23 at SEA to Felix Hernandez...lone run came on a leadoff home run by Ichiroon Shields' second pitch of the game...liftedwith one out in the 8th (7.1-IP, 4-H, 1-R/ER)...On May 19 vs. OAK, worked 8.1 scoreless butearned no decision in the Rays 4-1, 10-inningloss at Tropicana Field...game was scorelessafter 9 but Oakland scored 4 in the 10th offthe Rays bullpen...allowed a leadoff single toOrlando Cabrera then didn't allow another hituntil the 7th...On June 4 vs. KC beat Gil Meche, 3-2 (8-IP,6-H, 2-R/ER, 0-BB, 8-SO)...improved to 5-0 in5 career starts vs. KC, becoming only the 3rdpitcher to win his first 5 starts vs. KC (also JimPalmer, 1969-70, and Ken Holtzman, 1972-73)...Has lost all 6 of his career starts at FenwayPark including 3 in 2009...was 1-4 against theYankees and Red Sox and is now 4-14 againstthem in 21 career starts...Opponents were 2-for-12 with the bases loadedand are now only 4-for-36 (.111) off him in his career...among active pitchers (min. 25 AB), onlyJonathan Papelbon (.086) has been better. James signed a four-year deal on January 23,2008 plus three one-year club options worth aguaranteed $11.25 million...he has a chanceto earn as much as $44 million over the potentialseven-year deal...the contract calls him todonate up to $650,000 to the Rays BaseballFoundation that supports youth and educationprograms in Tampa Bay region.The Rays Opening Day starter spent his secondfull season in the majors and, at age 26,was the senior member of the starting rotation.Tied the franchise record with his 14th win onSep 23 at BAL in the first game of the doubleheader...the record was originally establishedby Rolando Arrojo in 1998...on the final dayof the season, Sep 28 at DET, Edwin Jacksonnotched win No. 14 to tie Shields and Arrojo.Worked 215.0 innings, which ranked 6th in theAL, matching his 2007 IP total exactly...becamethe first pitcher in Rays history with a pairof 200-IP seasons...his 2007 and 2008 totalsranked tied for 2nd in club history, 9.0 IP behindTanyon Sturtze's club record of 224.0 in 2002.The only AL pitcher with more IP over the lasttwo years than Shields' 430.0 is TOR Roy Halladay(471.1)...only 5 other pitchers in baseballhave logged 215-plus innings in each ofthe last two years: Dan Haren and former CyYoung winners Johan Santana, CC Sabathia,Brandon Webb and Halladay.Ranked 6th in AL with a 4.00 SO/BB ratio...4thin AL with 1.67 BB/9 IP (8th in MLB).Had back-to-back CG shutouts at home onApril 27 vs. BOS (3-0) and May 9 vs. LAA(2-0)...became the 6th pitcher since 1998 tothrow 2 SHO allowing 2 hits or less in one season:OAK Cory Lidle (2002), BOS Hideo Nomo(2001), BOS Pedro Martinez (2000), OAK TimHudson (2000), NYY David Wells (1998)...Shields and Matt Garza were the only pitchersin MLB to each throw two complete games allowing2 hits or less.May 9 vs. LAA was a 1-hitter, just the 2nd CG1-hitter in club history and the first by a Rayspitcher at Tropicana Field...faced just 28 batters,one over the minimum of 27...28 BF set aclub record for a CG effort (9.0+ IP), later tiedby Matt Garza on June 26 at FLA...with 92pitches thrown, broke his own Rays record of99 for a CG (9.0+ IP), which he set on April 27.April 27 vs. BOS hurled a 2-hitter, defeatingJosh Beckett, who tallied a career-high 13strikeouts...became the 3rd pitcher (2nd Ray,both at Tropicana Field) since 2005 to blankthe Red Sox on two or fewer hits: Scott Kazmir2-hit the Sox on July 3, 2006 and SEA FelixHernandez allowed one hit in a 3-0 win at FenwayPark (April 11, 2007).Tossed 3 of the Rays 7 complete games...only4 pitchers finished with more in the majors(TOR Halladay, MIL Ben Sheets, CLE/MIL CCSabathia, CLE Cliff Lee)...with 5 career CG,needs just one more to tie Joe Kennedy (6) forthe all-time Rays record.Over the last 2 years, his 4.53 SO/BB ratio(344/76) is 3rd in the majors...1.59 BB/9 IP is3rd in the majors...10.63 base runners-per-9is 6th in majors.On the Rays all-time career list, ranks 3rd inwins (32), 2nd in ERA (3.96), 2nd in strikeouts(448), 2nd in IP (555.2), 2nd in starts (85) and1st in winning pct. (.571).Averaged 14.6 pitches per inning, 5th fewestin majors behind Greg Maddux (14.1), PaulByrd (14.1) Aaron Cook (14.5) and Roy Halladay(14.5).Rays went 22-11 in his 33 starts and 20-7 whenhe lasted 6.0-plus IP.Finished with 22 quality starts, tied for the 5thmost in the AL.His 2.59 home ERA was 3rd in the AL behindCLE Cliff Lee (2.45) and BOS Jon Lester(2.49)...won 7 of his last 10 home starts andwent 9-2 overall at home...for his career is20-8 with a 3.23 ERA in 44 starts at home.Finished tied for 4th-most in the AL with 12HBP.Final start came in the last game of the regularseason, Sep 28 at DET, a one-inning tune-upfor the playoffs...retired the side on 10 pitches...Rays won 8-7 in 11 innings.Pitched to a 2.54 through the end of April, bestopening month in club history (min. 25-IP).Named AL Player of the Week for April 21-27for home wins over TOR and BOS (1.13 ERA)...was the 3rd pitcher in club history to take homethe honor - Albie Lopez in 2000 and ScottKazmir twice (once in each 2006 and 2007).Registered his 3rd complete game in a 6-1loss to the Angels on June 10 at LAA...mostby a Rays pitcher in one season since 2002(Joe Kennedy, 5, and Tanyon Sturtze, 4. )Was suspended 6 games for his actions ina bench-clearing brawl June 5 at Boston...brawl started when Coco Crisp charged themound after being hit by a Shields pitch...afterthat day the Rays went 14-6 in Shields starts(Shields was 10-4).Voted as having the American League's bestchange-up in Baseball America's Best Toolssurvey. POSTSEASON EXPERIENCEMade 4 starts for the Rays in the 2008 postseasonand led the rotation with a 2.88 ERA(25.0-IP, 28-H, 9-R, 8-ER, 8-BB, 17-SO)...earned Game 1 assignments for the ALDS (vs.Chicago) and ALCS (vs. Boston)...all 4 startscame at Tropicana Field.Took the mound for the first postseason gamein Rays history, defeating CWS Javier Vazquezin Game 1 of the ALDS...6.1-IP, 6-H, 3-R/ER...all 3 runs scored on Dewayne Wise's 3rd-inninghomer.Beat PHI Brett Myers in Game 2 of the WorldSeries, notching the Rays only win in the FallClassic...tossed 5.2 shutout innings, allowing7 hits and 2 walks with 4 strikeouts.Lost both of his ALCS starts, Game 1 toDaisuke Matsuzaka and Game 6 to JoshBeckett...in Game 1, left trailing 1-0 with 1 outin the 8th...Dice-K did not allow a hit until the7th inning.Tossed 240 innings between the 2008 regularseason and postseason. Finished 10th in the AL in innings pitched with a team-high 215.0 despite missing his last 2 starts for precautionary rest ... was 2nd in the AL when he was shelved ... only Tanyon Sturtze, with 224.0 innings in 2002, has pitched more in one season in Rays history ... Shields worked 6 or more innings 28 times in 31 starts and 7 or more innings 20 times ... Finished the season strong ... was 4-1 in his last 8 starts and pitched to a 2.20 ERA (57.1, H-50, ER-14, BB-7, SO-50) ... Averaged 6.93 IP per start, tied for 3rd best in the majors with San Diego's Jake Peavy behind Toronto's Roy Halladay (7.26) and Cleveland's C.C. Sabathia (7.06) ... averaged 14.8 pitches per 9 IP, 4th fewest in AL ... Was 9th in the AL in strikeouts with 184, 2nd in club history to Scott Kazmir's 2007 AL-leading total of 239 ... had strikeout games of 12, 11 and 10 and didn't win any of those games ... his 12 Ks vs. Cleveland on Apr 22 tied the club record which was eventually broken by Scott Kazmir on Aug 25 when he fanned 13 Oakland A's...Shields also had a 10-strikeout game against the Tribe on July 1 ... Had the majors 2nd best strikeouts-to-walks ratio (184 to 36) ratio behind Cleveland's C.C. Sabathia (209 to 37) ... it was also the best mark in club history and the 5th best in the modern era (since 1900) by a pitcher 25 years of age or younger ... Had the AL's 3rd best walks-per-9 innings with a 1.5 mark ... walked one batter or less in 22 of his 31 starts ... had a stretch of 114 batters without a walk, June 20 to July 12 ... opponents' on-base pct. of .285 was the 3rd lowest in the AL and a club record ... Left 21 of his 31 starts with TB ahead or tied. Allowed 10.38 base runners per 9 IP, 3rd best in the AL and a club record ... held opponents to a .247 batting average, 9th lowest in the AL... opposing batters hit only .100 (1-10) off him with the bases loaded while he fanned 5 and forced 2 GIDPs ... Take away one start - a 21-4 loss at New York on July 22 when he allowed 10 ER in 3.1 innings -- and his ERA falls to 3.49, 10th best in the AL, just behind teammate Scott Kazmir at 3.48. First 13 starts thru June 9: 6-0, 3.05 ERA, 97.2-IP, 76-H, 33-ER ... became the 17th pitcher in the 25 years to begin a season with 13 consecutive unbeaten starts ... exited all 13 with either the lead or game tied ... Went 2-7 in his next 10 starts thru Aug 3: 6.75 ERA, 60.0-IP, 76-H, 45-ER before finishing season on high note (see above) ... Six times he worked 6 or more innings and allowed 2 ER or less and didn't get a win. Threw the first 9-inning complete game of his career on May 30 at home over defending AL champion Detroit in a 5-3 win (H-7, R-3, ER-3, BB-1, SO-5) ... retired 24 of the last 27 batters he faced after giving up 3 runs and 5 hits in the first inning ... Three of his best starts didn't result in a win ... on Apr 22 against Cleveland, he didn't get the decision despite allowing only 3 base runners in 8 innings (H-2, ER-2, BB-1, SO-12) as the Indians scored 4 runs in the 9th off the Rays pen to win 6-4 ... on May 9, he went 9 innings for the first time in his career and allowed only 4 base runners (H-3, BB-1, SO-4), but didn't get the decision in the Rays 10-inning, 1-0 loss at Baltimore ... on Sep 14 at Seattle he worked 8 innings (H-4, ER-1, BB-2, SO-5) and wasn't the pitcher of the record in the Tampa Bay's 2-1 loss ... Allowed 28 home runs, tied for 3rd most in the AL, but allowed only six in his last 12 starts ... Eight of his 12 wins came following a Rays loss ... he stopped losing streaks of 11, 4, 3 and 2 (twice). Was winless (0-2) in 5 starts against the ALCS participants - Cleveland and Boston despite a 2.87 ERA (IP-31.1, H-25, ER-1-, BB-3, SO-40. Was recalled from AAA Durham on May 27 when LHP Casey Fossum was placed on the disabled list for his first action at the major league level...Named Rays top rookie by the Tampa Bay BBWAA...Overall was 4th among AL rookies in strikeouts (104), 3rd in innings pitched (124.2) and 10th in ERA (4.84)...His 104 strikeouts are 3rd most ever by a Rays rookie behind Scott Kazmir's club-record 174 in 2005 and Rolando Arrojo's 152 Ks in 1998...Led Rays starters and was 4th among major league rookie starters with 2.74 walks per 9 innings...Also ranked as the 2nd best ever by a Rays rookie starter (min 100 IP) behind Joe Kennedy's mark of 2.60 in 2001...With only 38 walks, he recorded the 2nd best strikeouts to walks ratio (2.74) ever by a Rays starter (min 100 IP)...Only Scott Kazmir's ratio of 3.13 In 2006 (SO-163, BB-52) has been better in club history...Shield's ratio was 4th among major league rookies...Walked one batter or less in 11 of his 21 starts...Made his ML debut May 31 at Baltimore drawing a no-decision (5.0-IP, 9-H, 5-R/ER, 3-BB, 5-SO)...From that point forward he pitched 34 more innings than any other Devil Ray and more innings than any other AL rookie...Won his next four starts (over the Angels, Royals, Phillies and D-Backs) becoming the first Ray to begin his major league career 4-0 (Tim Corcoran also went 4-0 later in the season)...Earned his first major league win on June 5 at home over the Angels when he combined with Shawn Camp and Tyler Walker on an 11-hit shutout in a 4-0 win over Jeff Weaver...Went on to win his next 3 starts as well including a 10-4 win over fellow rookie Cole Hamels at Philadelphia on June 16 (IP-6, H-6, R-3, ER-3, BB-1, SO-6) and a 3-2 win over Arizona's National League wins leader Brandon Webb on June 21 (IP-7, H-4, R-2, ER-2, BB-3, SO-5)...Was 4-1 in June tying Minnesota's Francisco Liriano and Detroit's Zach Miner as the best record among AL rookies for the month...Along the way, he compiled a 16.0-inning scoreless streak, 2nd longest by a Rays rookie (Rolando Arrojo, 18.0 in 1998)...His 4 wins tied the club mark for wins in a month and he became just the 2nd rookie to do it (also Arrojo in May 1998). Named the Pitcher of the Year at Double-A Montgomery ... Combined at Montgomery and Durham to go 8-5 with a 2.97 ERA, the third best markamong Rays minor leaguers...His 110 strikeouts were the fourth most in the organization'sminors ... Held opponents to three ER or less in 12 of his 16 starts with the Biscuits and wasundefeated in all eight games in which he pitched 7.0 or more innings (5-0) ... Tied his career high with 10 strikeouts Aug 22 vs. Jacksonville (LAD) ... Led all Rays pitchers in the month of August going 4-0 with a 1.62 ERA...named SL pitcherof the week Aug 22-28 ... Held left-handers to a .226 average (40-177) ... Won six of his last seven decisions with the Biscuits earning a promotion to Triple-A Durham for his final start of the year where he picked up the win against Charlotte (CWS) ... Named an Arizona Fall League All-Star after working to a 1.74 ERA (2nd in the league) and striking out 29 batters while walking just two in 31.0 IP ... Led the Phoenix Desert Dogs to a league championship where he got the win in the finale over Surprise ... Began the season on the disabled list with soreness in his right shoulder ... activated May 28. Threw the first pitch in Montgomery Biscuits history as the team's opening day starterin 2004 ... Lost three of his first four starts and landed on the DL with right shoulder tendonitis ... Transferred to Bakersfield upon his return ... led all Blaze pitchers with 8 wins and tossed the lone Bakersfield complete game shutout (Aug 24 vs. Visalia, 2-H, 4-SO, 0-BB), one of just 5 in the entire Cal League. Pitched the 2003 season at Bakersfield (A) ... Led the team in wins (10), innings pitched (143.2) and strikeouts (119-2nd most in the organization) ... Allowed 19 home runs, tied for third most in the California League. Missed the entire 2002 season recovering from right shoulder surgery. Began his professional career in 2001 with Hudson Valley (SS-A) ... Promoted to Single-A Charleston after striking out 25 and walking just 5 in 27.1 IP over 5 starts ... Was the first player promoted from the Renegades ... Worked to a combined ERA of 2.55, 2nd best in the organization ... Tossed a 9.0-inning, complete game shutout in his Charleston debut (3-H, 9-SO, 1-BB) ... also recorded a 3-hit complete game in his final turn of the year Sept 2 at Columbus (7.0 innings). October 29, 2018 RHP James Shields elected free agency. June 18, 2017 Chicago White Sox activated RHP James Shields from the 10-day disabled list. June 3, 2017 Chicago White Sox sent RHP James Shields on a rehab assignment to Charlotte Knights. April 21, 2017 Chicago White Sox placed RHP James Shields on the 10-day disabled list retroactive to April 18, 2017. Strained right lat. June 7, 2016 Chicago White Sox activated RHP James Shields. February 11, 2015 San Diego Padres signed free agent RHP James Shields. 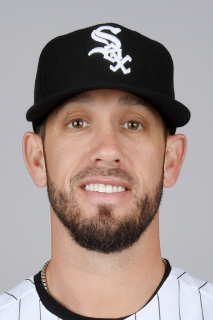 October 30, 2014 RHP James Shields elected free agency.